Cognitive impairment is a common disorder in multiple sclerosis (MS), present in >65% of patients both in the early and advanced phases of the disease, and progresses over time.1 This condition can have a significant impact on the quality of life, employment, daily functioning, and independence of patients. Results regarding cognitive treatment are contradictory, which is probably because the interventions and the outcome measures are heterogeneous. 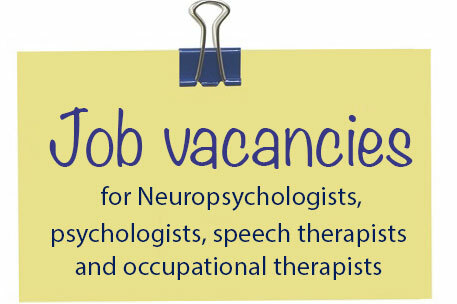 Despite this, different studies have showed that neuropsychological intervention can have favourable effects on the cognitive performance of patients.2-4 Specifically, there is evidence that computer-assisted cognitive rehabilitation improves performance in neuropsychological tests; we therefore designed a study to evaluate the effectiveness of the application of a computer-assisted cognitive rehabilitation therapy in MS patients. We included 12 patients in the study. All patients had a diagnosis of relapsing-remitting clinically stable MS; mild-to-moderate cognitive impairment, as established by the Brief Repeatable Battery of Neuropsychological Tests (Rao battery); an adequate level of visual acuity; and were aged >18 years. The patients were evaluated three times: at the beginning of the study, at Week 8, and at Week 16. Patients were randomised to receive treatment after the first evaluation (Group 1) or after the second evaluation (Group 2). The evaluation consisted of a neuropsychological assessment (using alternative versions of the same battery to reduce the practice-related effects), a functional magnetic resonance study (including a resting functional MRI, a diffusion tensor image, and a Voxel-based morphometry), and a blood sample to identify plasma changes associated with the brain-derived neurotrophic factor protein, which is involved in neuronal plasticity processes. These measures were taken to identify potential biomarkers of therapeutic efficacy. 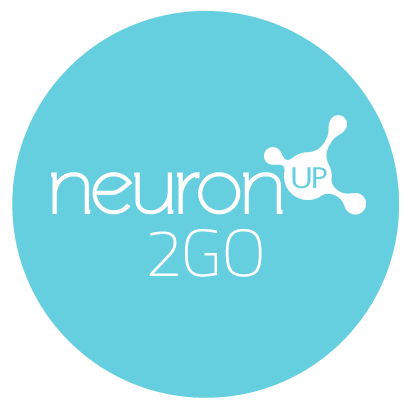 All patients received 24 sessions of computer-assisted cognitive treatment using the NeuronUP platform. 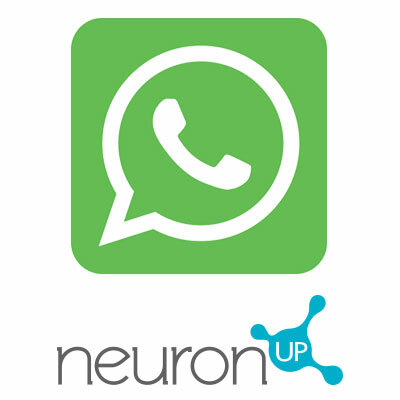 NeuronUP is a cognitive neurorehabilitation online platform that has activities covering 40 neuropsychological processes.5 The rehabilitation sessions were 45 minutes long and were performed three times a week for 8 weeks at the patient’s home. Preliminary results showed significant improvements in verbal memory, delayed visual memory, working memory, and semantic fluency. Structural MRI analysis (Voxel-based morphometry) showed an increase of 0.7% in the global grey matter volume in most patients. 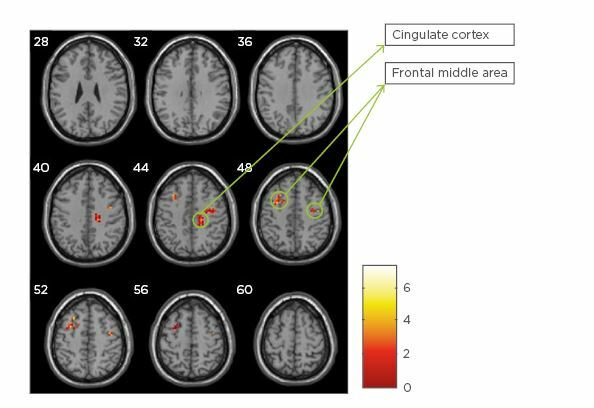 Furthermore, resting-state functional MRI studies showed a decrease in fractional amplitude of low-frequency fluctuations in the cingulate cortex, which is involved in learning and memory processes, and in the middle frontal area (Figure 1), suggesting that cognitive therapy improves cognitive performance and may induce structural and functional changes in the brains of MS patients. .De Giglio L et al. A low-cost cognitive rehabilitation with a commercial video game improves sustained attention and executive functions in multiple sclerosis: A pilot study. Neurorehabil Neural Repair. 2015;29(5):453-61. Muñoz Céspedes JM, Tirapu Ustárroz J. Rehabilitation programs for executive functions. Rev Neurol. 2004;38(7):656-63.